Yes, Yes, YES!!!! We can now confirm that Jared Padalecki is heading back to Stars Hollow for the reunion! This means all of Rory’s Merry Men will be present and accounted for in ‘Gilmore Girls: Seasons‘. We told you Milo Ventimiglia, Jess, would be returning, here, Matt Czuchry has agreed to appear so that means Luke will be appearing and now Padalecki is on board which means Rory’s first love, Dean, will be checking in, as well. Padalecki has been spending time in another fictional realm, that of the ‘Supernatural‘ TV series which is enjoying it’s 11th season. One thing about JarPad, is he’s loyal. His latest gig starring in SPN opposite Jensen Ackles means his brother is now named Dean. Irony at it’s greatest and I love it! So we’ve got the Merry Men accounted for, outside of the news that Liza Weil and Yanic Truesdale are returning, which means Paris and the gloriously acerbic Michel will be back, we know that Sutton Foster will be traveling to Connecticut. I could have sworn she was in ‘Gilmore Girls‘ as a friend of Lorelai’s in a few episodes, but I must be off. She did star in creator Amy Palladino’s too-short lived ‘Bunheads‘ series that appeared on ABC Family. Not sure if she will appear as a whole new character, or as her character from ‘Bunheads‘ is unclear. What is clear is that it will be a reunion of sorts for Foster and Kelly Bishop who played her mother-in-law. 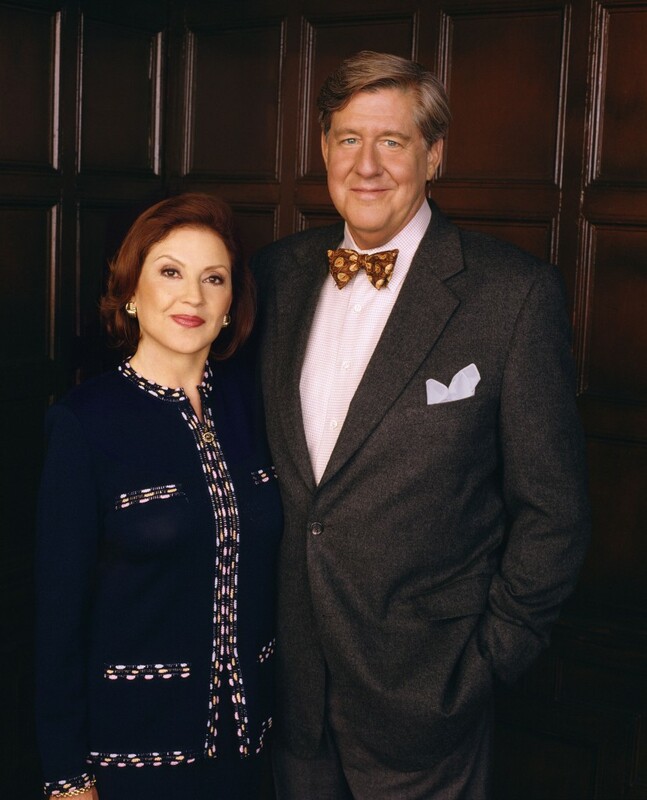 Bishop, of course is Emily Gilmore, Lorelai’s mother and she is the surviving parent to return to the reunion since Edward Herrmann passed away. Herrmann was the patriarch of the Gilmore family and his absence will be immensely felt, I’m sure. Another Gilmore original to return is David Sutcliffe (‘Cracked‘), his character is Christopher Hayden, better known as Rory’s dad and Lorelai’s ex. Any way you look at it, this will be one hell of a reunion and we’ve waited a long time for it. This entry was posted on Thursday, February 11th, 2016 at 1:47 pm	and is filed under News, Television. You can follow any responses to this entry through the RSS 2.0 feed. You can skip to the end and leave a response. Pinging is currently not allowed. « Milo Ventimiglia Returns For ‘Gilmore Girls: Seasons’!! !